Whether you’re trying to add a new en suite or upgrade an existing bathroom, many of the UK’s homes contain bathrooms that can be very tight for space. 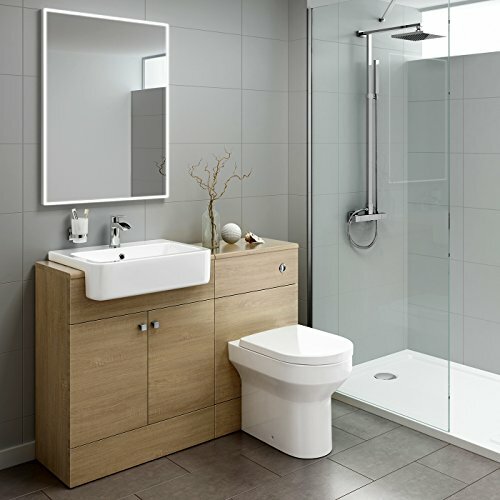 Maximising that space to ensure you have all the essentials in place whilst making it functional is a real challenge, yet with some ingenuity, it is possible to make a small bathroom beautiful and functional. 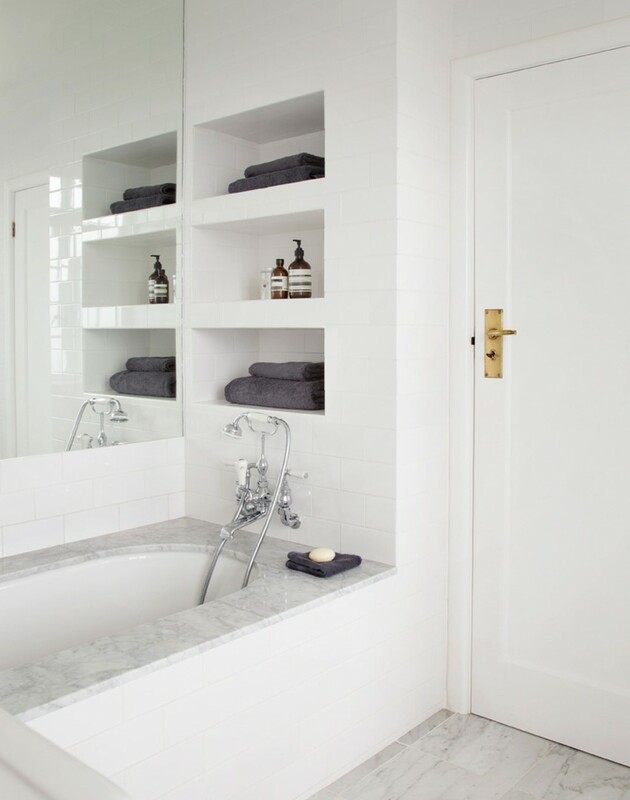 Before you even begin to consider your bathroom furniture, hardware, tiles and colours; stop and see if there’s any opportunity to create more space simply by changing the bathroom door fitting. Sliding or pocket doors create additional floor space that would normally be taken up by the opening of a traditional door on hinges. If pocket doors are not possible, how about making the door swing outwards instead of into the room? This may seem like a strange concept but if space it as a premium, this might be a slightly quirky but ultimately, invaluable idea. 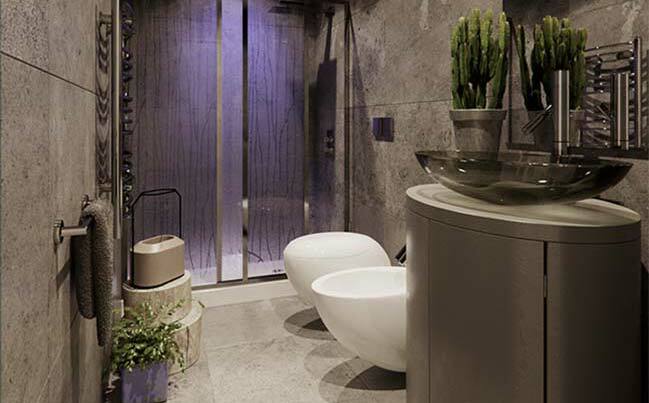 Without having to worry about the space the doors swings into, this alone will create so many more opportunities to exploit and make your bathroom feel instantly bigger. 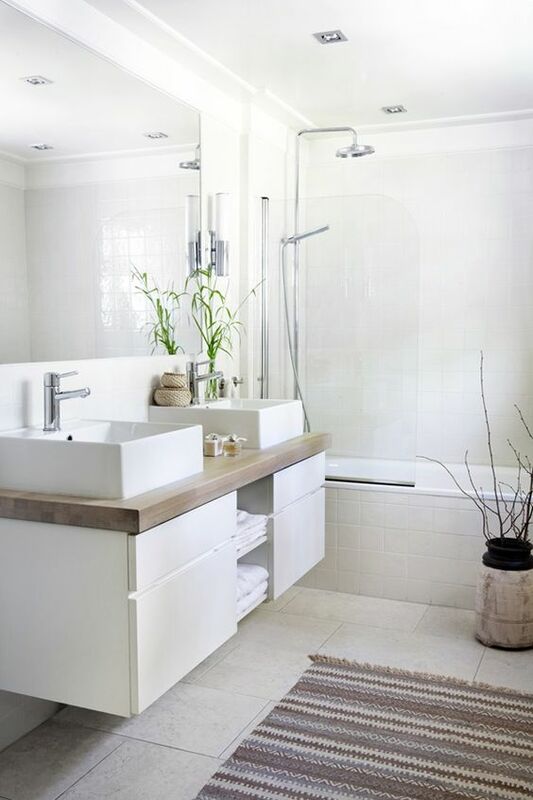 If your bathroom is extremely tight for space, small corner vanity sinks are a great way to free up a little more room for perhaps a bigger bathtub or shower unit. 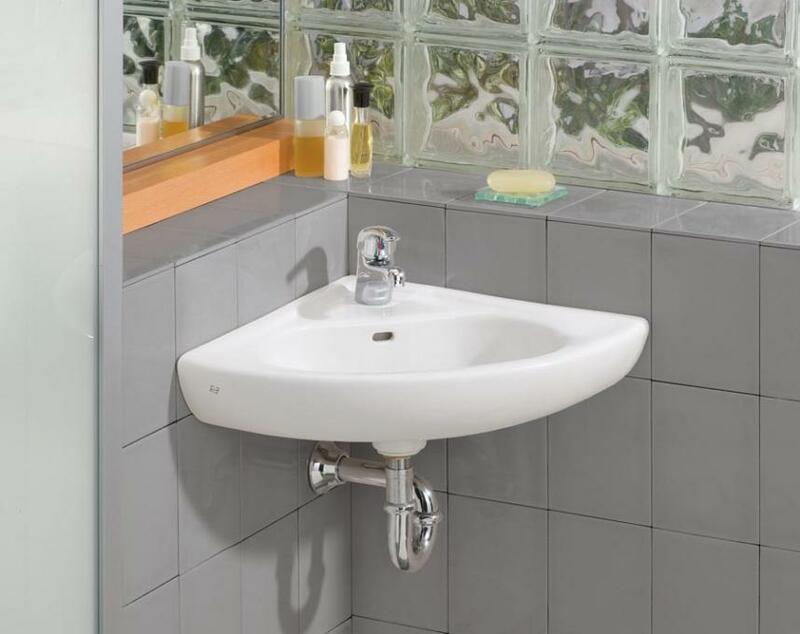 They may be compact but some corner sinks come in a great range of stylish options that may surprise you. Floating vanities allow for more floor space to be used for other smaller items but will also help to make the room feel a little bigger. 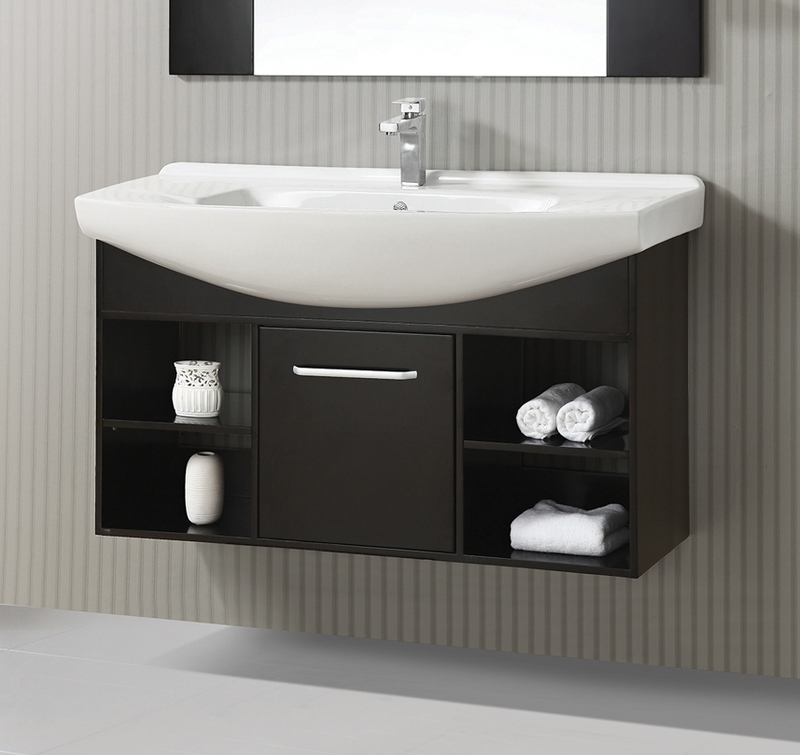 A large floor standing vanity will dominate the space and make it feel cramped whilst a floating vanity unit will reduce the visual scale and overall impact. Fortunately, the market is full of some beautiful floating vanities that look great so there’s plenty to choose from! If storage is a massive headache in your small bathroom, try and find ways to make inset shelves into the existing walls. Not only do they look amazing, they create space from places that you never thought had any. Inset shelves can be tiled or finished to match the rest of the bathroom and are great for displaying your favourite ornaments, bathing products or soaps. 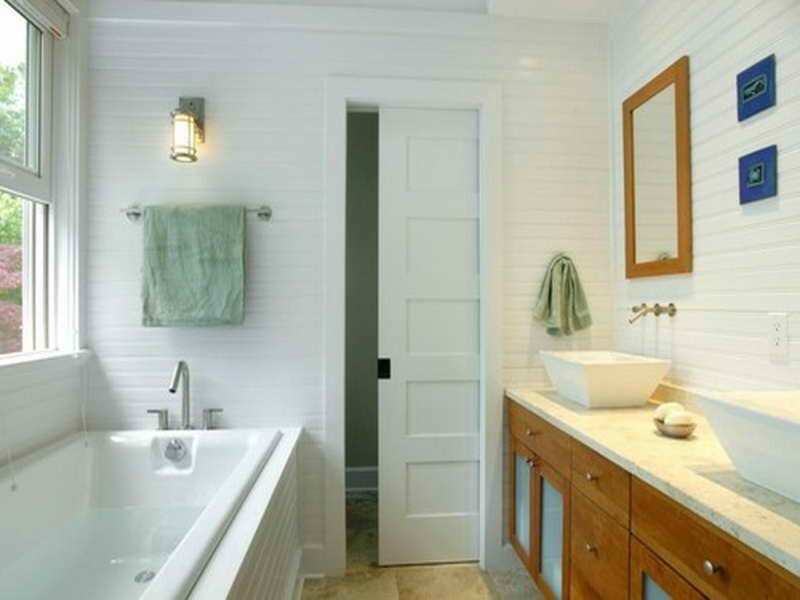 A common mistake many homeowners make is to try to place the bathroom fixtures on opposing walls which just creates a “maze effect” and means your bathroom becomes hard to move around as you have to avoid the toilet or vanity units where they protrude into the floor space. By placing them all on the same wall, you create floor zones meaning the areas where you stand and dress feel bigger whilst the areas the fixtures occupy feel more compact. There’s a whole bunch of fully integrated toilet and vanity units on the marketplace that comes in a variety of sizes, even for smaller bathrooms. 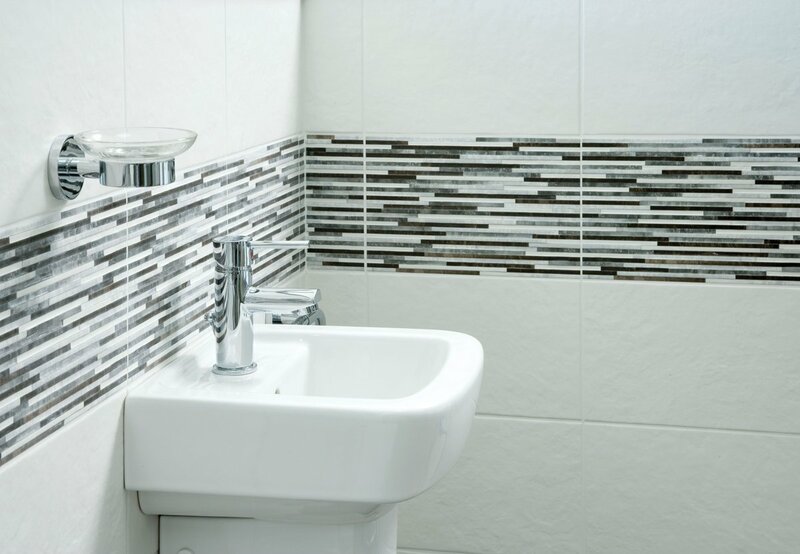 Not only do they save on space, they are much easier and quicker to install and with many modern styles to choose from, will make any compact bathroom look great and feel spacious. 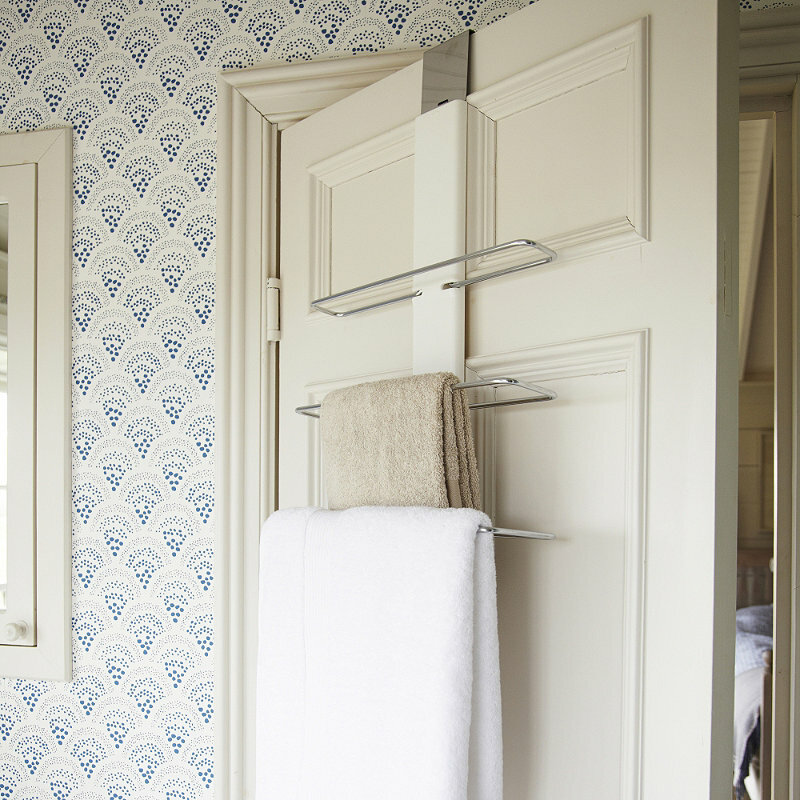 Towels rails and hooks can take up a surprising amount of space so the simple solution is to hang them of the back of the door. Obvious but a quick space saving solution. It’s common knowledge that large wall mirrors in small rooms instantly create the illusion of space and it’s no different in the bathroom. 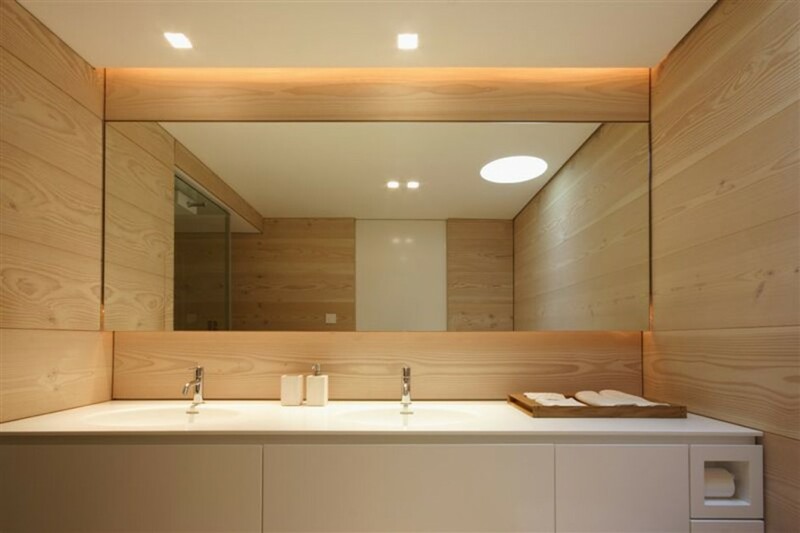 By having a large mirror above the vanity unit, it will reflect the light around the room and make the entire space feel less cramped and compact. When it comes to decorating your bathroom, a large scale pattern or bands of colour will create the illusions of space and trick the eye into thinking the room is much larger. Keep the colour palette simple but use pops of colour on the bands which will do the hard work of making your bathroom look and feel so much bigger. If your bathroom lacks a lot of natural light, avoid using dark colours in your final finish as this will make the room feel extremely small. Fresh, bright colours will help reflect light around the room and make it feel more light and airy.